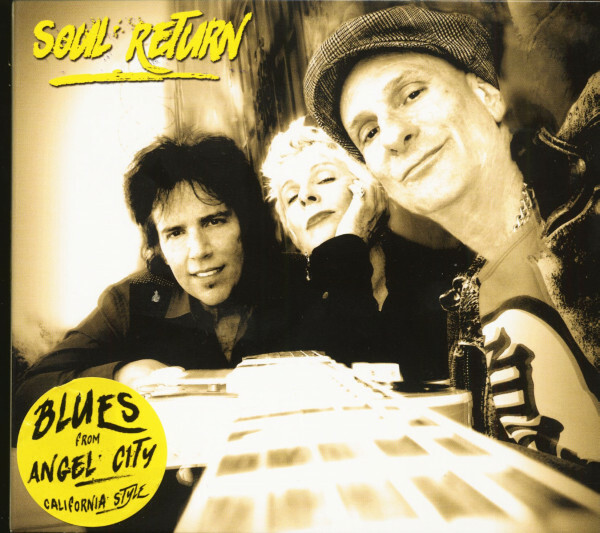 Soul Return - the return of California Soul / Blues! JJ Holiday, guitarist of the Imperial Crowns, meets singer and harp player Kellie Rucker and together they create a musical jewel reminiscent of the times when Janis Joplin met Grateful Dead. Soul Return have come together as a band through JJ Holiday. The guitarist is already known for his band Imperial Crowns, one of the legendary groups from Los Angeles. Besides the Imperial Crowns he works regularly with Johnny Depp and his sister for Infinitum Nihil - his music film company. In the past he has played with such luminaries as Bruce Springsteen, Bob Dylan, Buddy Guy and the French band Little Bob. Kellie Rucker sings and plays the harp. Born in Connecticut, she traveled around a lot before choosing Los Angeles as her adopted country. She has made a name for her collaboration with blues singer Debbie Davies and the late Californian blues rock band BB Chung King & The Buddaheads. Drummer Michael Barsimanto (former Imperial Crowns member) is also part of the band. He has worked with famous jazz musicians such as Freddie Hubbard and Jean-Luc Ponty and with funk musician Ivan Neville. His portfolio also includes icons of the rock scene such as Keith Richards, Andy Taylor (Duran Duran), Andy Summers (Police). In the field of film, he has also worked with several established figures such as John Cassevetes, George Lucas and Johnny Depp. A few months ago JJ got together with Kellie and Michael to record some demos. The three harmonized perfectly and Kellie decided to write some songs. 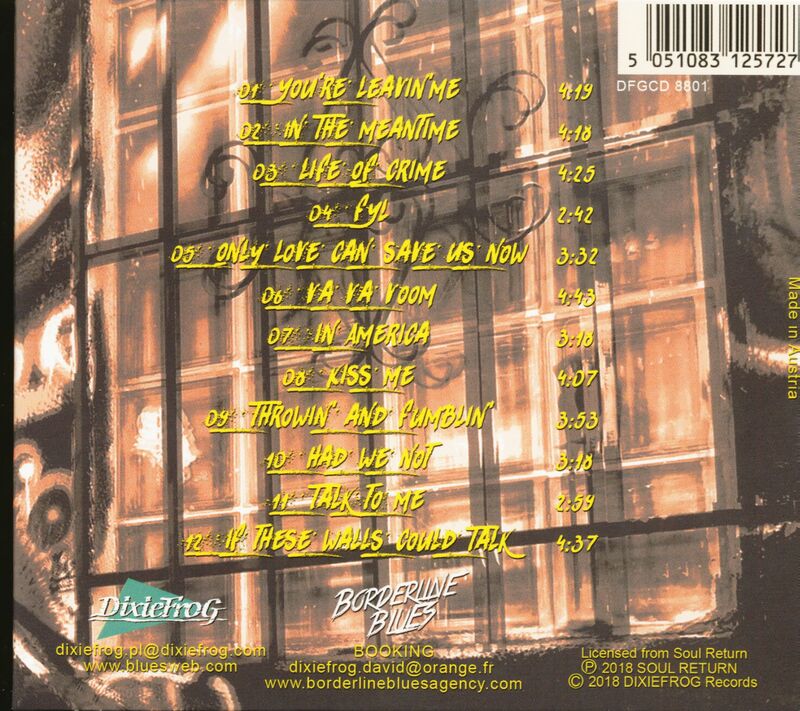 It didn't take long and a few songs turned into a whole album. The result was the sound of California, true to the blues tradition of the City of Angels, true to rock'n'roll coupled with the energy of hypnotic grooves that evoke memories of bands like The Grateful Dead, Howlin' Wolf and Charley Patton and revive the spirit of legends like Janis Joplin, Memphis Minnie, Blind Lemon Jefferson, Jimmie Rogers, King Solomon Hill or Curtis Mayfield. For all things misplaced, lost, forgotten… something pulls you from the inside like a question mark tied to a kite. It seeks its roots, from the never-ending wellspring of inspiration… places to explore – places where the Soul Returns. Long ago, at the edge of the deepest grooves, on the record of sometime; Howlin’ Wolf and Charley Patton had a love-child family with Memphis Minnie, Edith Piaf and Billie Holiday. Their wandering tribe of children sought out the likes of other kindred spirits in Blind Lemon Jefferson, Jimmie Rodgers, King Solomon Hill, and Curtis Mayfield. They hung out with unknown hillbillies and jazz gypsies, in circus-tents and traveling medicine shows. The new music-love-tornado family tore through the layers of destiny, then re-transported through the worm hole of time into the far-away future… when the Soul Returns. 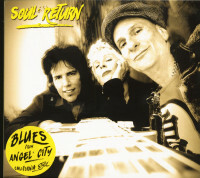 Customer evaluation for "Soul Return (CD)"